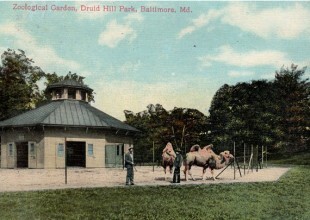 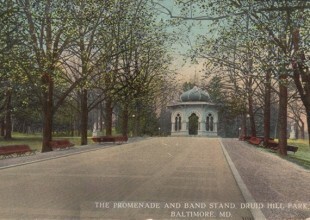 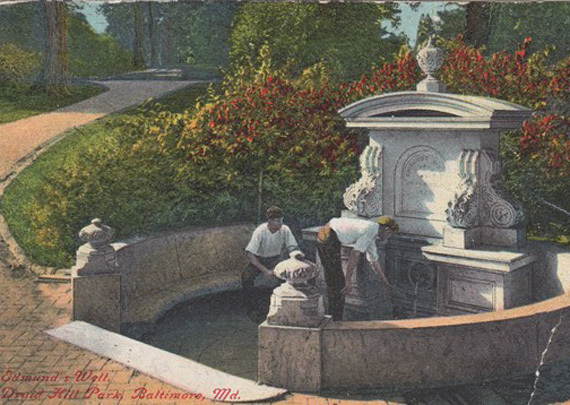 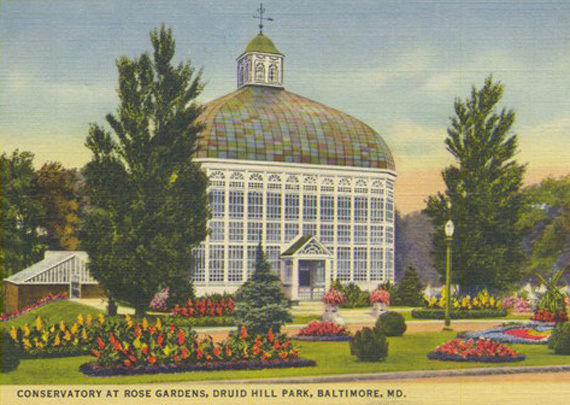 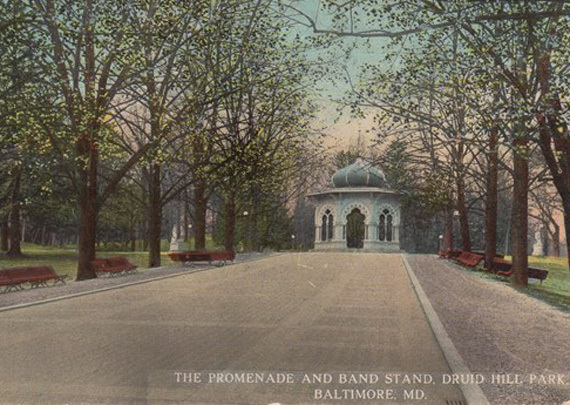 Druid Hill Park played a significant role as Park’s own playground when the school was located on Auchentoroly Terrace. 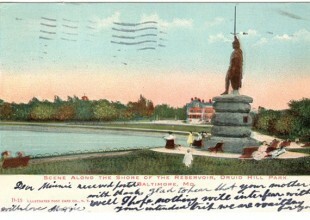 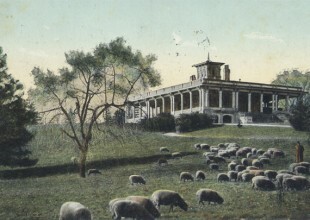 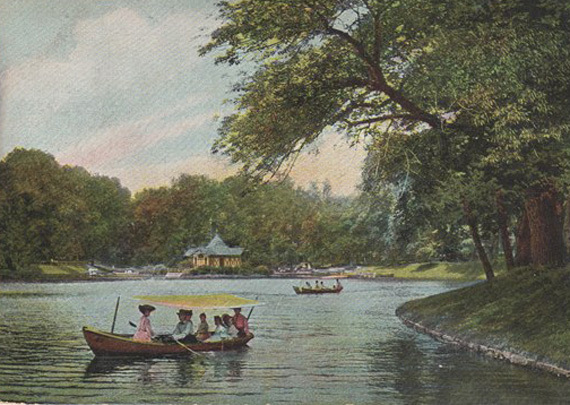 The postcard images from 1905-1918 reflect what Park students would have seen during their outings in the Park. 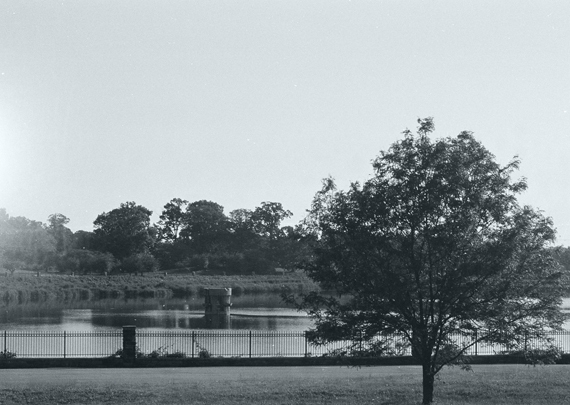 The black-and-white images of Druid Hill Park today were shot by senior Tihira Turrell, a Druid Hill Park resident. 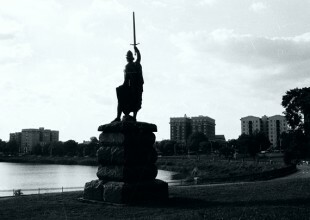 Unlike many monuments in the Park, the William Wallace statue still stands. 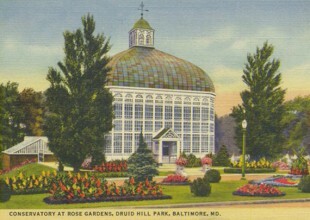 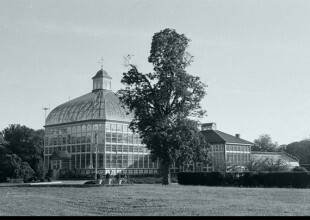 The Conservatory (now known as the Howard Peter Rawlings Conservatory and Botanic Gardens of Baltimore) is home to horticultural events throughout the year. 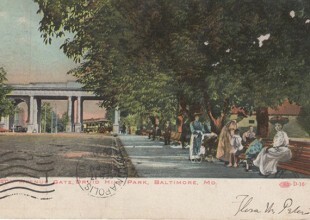 The Madison Avenue Gateway no longer brings visitors to the Park. 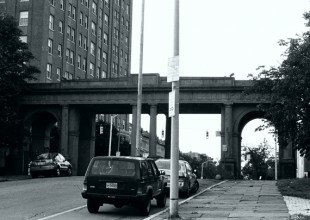 Madison Avenue is now one-way heading south and takes traffic away from the Park. 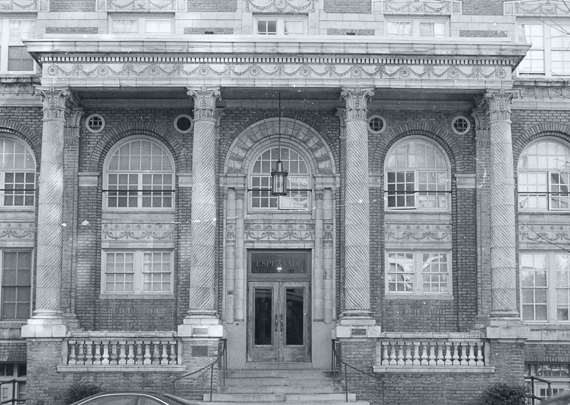 The Esplanade at 2525 Eutaw Place was built in 1912. 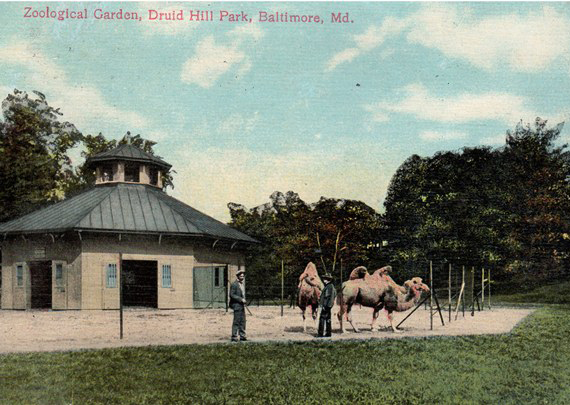 The Druid Hill Park Reservoir is a haven for walkers, joggers, and bicyclists. 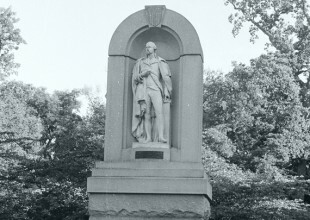 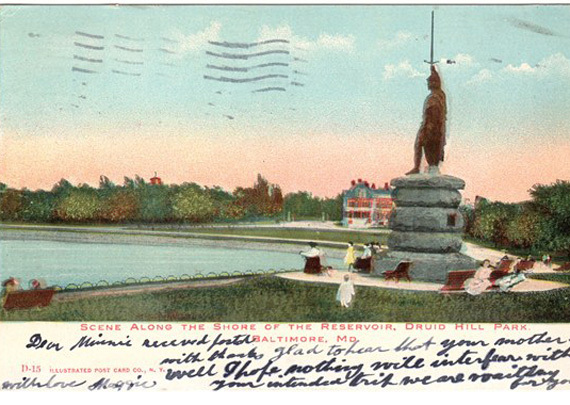 The statue of George Washington, originally commissioned for the Washington Building in downtown Baltimore in 1858, was moved to the Park’s Madison Avenue entrance at Swann Drive in the late 19th century. 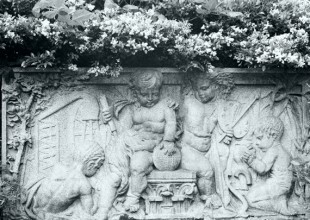 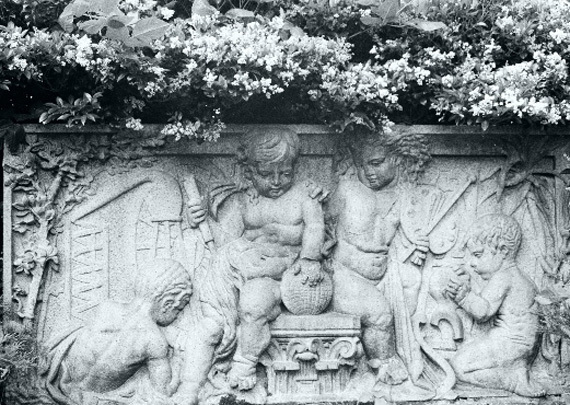 This cherub relief panel was one of 20 installed at the post office at Calvert and Fayette. 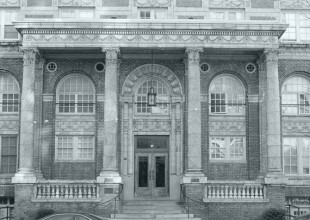 The building was demolished in 1930, and one of those panels was relocated just west of the Madison Avenue Gateway in 1933.